Since the establishment of its business entity of CCM business unit in 2012, OFILM has been focusing on the development and manufacturing of image modules. In just four years, it has become the largest manufacturer of image modules in the world, and the gap with other module manufacturers has expanded year by year. According to the market research firm TSR, the market share of OFILM’s image module shipments will exceed 20% in 2018, ranking first of the industry. 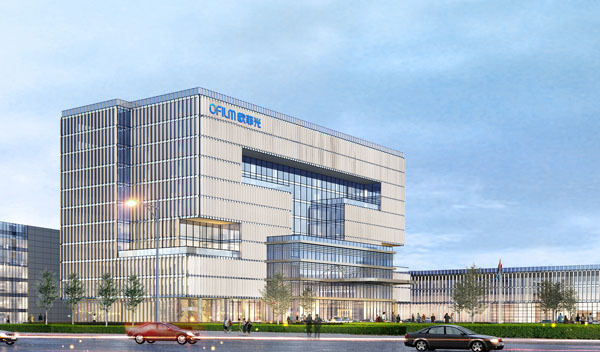 As one of the few outstanding enterprises in China with core intellectual property rights and core competitiveness in the mobile internet industry, OFILM adheres to Research and Development-oriented, and spends more than five percent of its operation revenue for R&D every year. At present, OFILM has built a multi-technology, multi-level and cross-platform R&D system to further lay out frontier areas such as 3D image, AR/VR, autopilot, and biometrics, and set up research centers in San Jose, Tokyo, Suwon, Taipei and other places to obtain local high-quality technical talent resources and cutting-edge scientific and technological information, industrial information, and integrate global resources to lead the industry. In the field of CCM, OFILM has vigorously developed the transformation of production automation and the research and development of high-end modules. It has become the manufacturer with the highest automation rate of production in the industry, effectively enhancing the manufacturing strength of image modules, which accounted for a rapid increase in dual-camera and triple-camera module shipments and the share of flagship phone models of major domestic customers has continued to increase. Through the acquisition of Sony Electronics Huanan Co., Ltd., OFILM's image module business has successfully entered the international major customer supply chain system, and had access to a number of core patent technologies, and further strengthened the industrial chain advantage in the fields of software and algorithm. On the basis of consolidating the high-end camera module business, the company actively expanding its business and increase market share by leveraging the advantages of the platform. Currently, in the field of CCM business, OFILM has established long-term stable cooperative relations with well-known enterprises such as Huawei, Xiaomi, OPPO and Vivo, and maintained timely and efficient interaction, laid the company in the rank of mainstream suppliers of image modules and other products. In the future, OFILM will further deepen and expand cooperation with its key customers, and provide a solid guarantee for the stable and continuous growth of the company's production and technical capabilities. In October 2012, Nanchang OFILM Photoelectric Technology Co., Ltd. was established, and R&D centers were established in the United States, Japan, Taiwan, and Korea, etc., had access to core technologies in optical design, MEMS, image processing, and software algorithms. Entered Huawei, Xiaomi, Lenovo, OPPO, vivo, Samsung, LG and other supply chain systems. In March 2015, a domestic advanced professional imaging technology evaluation center was set up. In 2016, full introduction of automated production lines and was the first to be automated in the domestic module industry. In 2016, the company completed the development and mass production of the 6-axis automatic optical axis AA mounting equipment of the dual camera module, with completely independent intellectual property rights. In 2016, launched comprehensive strategic cooperation with mobile phone platform providers such as Qualcomm, MTK and Hislicon. In 2016, the company completed the development and mass production of high-precision dual-camera modules, achieving the highest precision of the dual-camera axis in domestic camera module industry. In 2016, successfully acquired the Sony Electronics Huanan Co., Ltd. in Guangzhou and entered the internationally renowned customer supply chain. In 2017, it launched the Nanchang New Park as a major supplier of 3D and main camera image products to customers and became a core strategic partner of overseas customers. In 2017, the domestic business was highly recognized and evaluated by customers, and was awarded Huawei, Xiaomi and other core customers of the core Partner award and the Best Strategic Partner Award. In August 2017, the triple-camera modules were developed and was officially mass-produced in Q1 of 2018. In June 2017, the CMP miniaturized packaging process was developed and mass production was formally launched in Q3 of 2018. 3D vision and multi-camera have broad prospects, in-depth information acquisition has become a key priority, and will be extensively applied in mobile phones, VR/AR, automobiles, etc. Dual-camera phones have become the mainstream, and the demand for optical zoom and dual OIS cameras is prominent. The full screen of mobile phones has become a trend, and micro miniature packaging of the front camera gradually become the mainstream. Image real-time mosaic technology will be diversified applications, such as conference cameras, wide-angle selfies. The CCM business unit has established research centers in San Jose, Tokyo, Suwon, and Taipei, and OFILM's Central Research Institute has also set up a CCM Research Institute. Having hundreds of excellent engineers, the R&D center in Nanchang has set up a project team which is responsible for the development of custom-made software and hardware in mainstream products. The sample can be designed and delivered in a short time, catering to customers' needs of rapid development and listing of products. At the same time, a project R&D team is set up to be responsible for the development of special product processes and advanced technologies. The R&D center in Taiwan is responsible for the development and optimization of MEMS motor, the development of overseas projects and vehicle camera; the R&D centers in Japan and South Korea are responsible for design and development of special lens, as well as the development and research of the algorithm of advanced image processing technology; the US R&D center is responsible for overseas customer development, new technology information search, and non-mobile phone project development. The CCM Research Institute of Central Research Institute is responsible for the development of periscope camera, the research of new sensor packaging technology and the establishment of advanced image evaluation centers and other cutting-edge research projects.